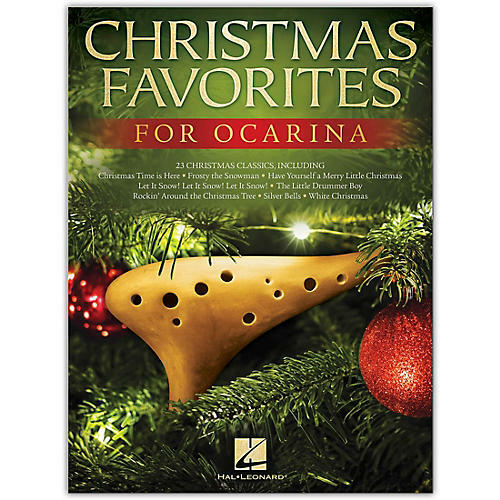 Play 23 holiday classics in arrangements tailored to this unique wind instrument. Includes: Blue Christmas · Christmas Time Is Here · Do You Hear What I Hear · Frosty the Snow Man · Have Yourself a Merry Little Christmas · Let It Snow! Let It Snow! Let It Snow! · The Little Drummer Boy · The Most Wonderful Time of the Year · Rockin' Around the Christmas Tree · Silver Bells · White Christmas · Winter Wonderland · and more. Arranged for 10-, 11-, or 12-hole ocarinas.